Cardiovascular disease, cardiac fibrosis, heart failure, ageing, stroke. Cardiac fibrosis is a hallmark of almost every cardiac disease as well as a consequence of ageing. Cardiac fibrosis is the ‘stiffening/scarring’ of the heart, which prevents the heart from functioning adequately, and will ultimately lead to heart failure and death. There are currently no suitable treatments, so I am interested in understanding the molecular mechanisms of cardiac fibrosis in ageing and cardiac disease in the hopes of reversing or regenerating the heart muscle. Cardiovascular disease, such as heart disease and stroke, is the single leading cause of death and disability in the world. With an ageing population, the burden of cardiovascular disease is likely to grow exponentially. I believe it is imperative that we develop a better understanding of the mechanisms driving these diseases to find better therapies and reduce the overwhelming burden of heart disease and stroke. The ultimate goal of my research is to improve the outcomes of those suffering from the single biggest killer in the world - cardiovascular disease - by developing targeted, more effective treatments. 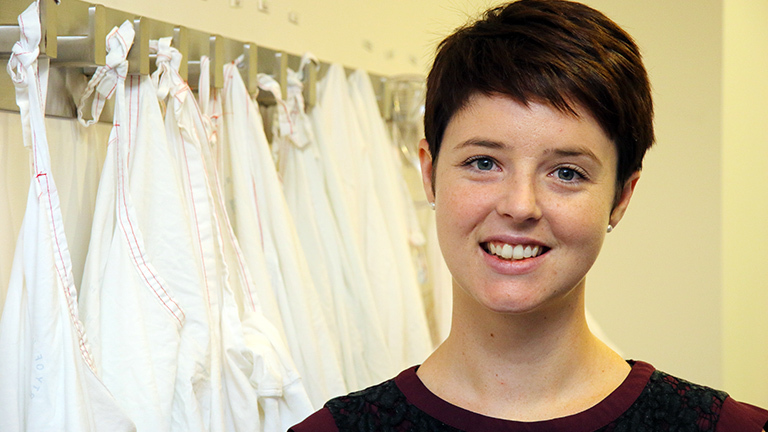 Dr Murtha is a Postdoctoral Research Scholar in the School of Medicine and Public Health at the University of Newcastle., whose current research involves understanding the molecular mechanisms of cardiac fibrosis. She is interested in using pre-clinical models of cardiovascular disease to find effective ways of reversing the devastating effects of heart scarring. Dr Murtha completed a Bachelor of Biomedical Science (Honours) and a Doctor of Philosophy (PhD) at the University of Newcastle, Australia. Her PhD thesis investigated the mechanisms causing pressure to rise in the skull (intracranial pressure) following experimental stroke and the benefits of using therapeutic body cooling (hypothermia) to prevent this dangerous rise in pressure. The data collected throughout her PhD changed the current understanding of intracranial pressure regulation after stroke and the use of short-term hypothermia as a therapy. Dr Murtha is closely involved with further preclinical and clinical investigations. She was recently awarded the Australian Government’s prestigious, competitive, merit-based Endeavour fellowship, which provided the opportunity to visit and collaborate with a world-leading laboratory at the University of Toronto, Canada. She was also awarded the Australian Society for Medical Research International award to collaborate with the world-leading cardiovascular institute, the Centro Nacional de Investigaciones Cardiovasculares, in Spain. Dr Murtha’s PhD was supported by an Emlyn and Jennie Thomas Postgraduate Medical Research Scholarship, allowing her to travel to the University of Glasgow to conduct an international collaborative project for 12 months. This project resulted in the discovery that the major cause of elevated pressure after stroke was not due to brain swelling, as was previously assumed. It led to a high impact journal article that won the Best Research Higher Degree Publication of the Month, and of the Year, by the School of Biomedical Sciences and Pharmacy, and the Faculty of Health and Medicine, respectively at the RHD Excellence Awards, 2015. Dr Murtha’s PhD thesis abstract was nominated by the University of Newcastle to be published in the Journal and Proceedings of the Royal Society of New South Wales. It is my ultimate goal to reduce the burden of cardiovascular health by furthering our mechanistic understanding and developing effective treatments for patients suffering from cardiovascular disease.